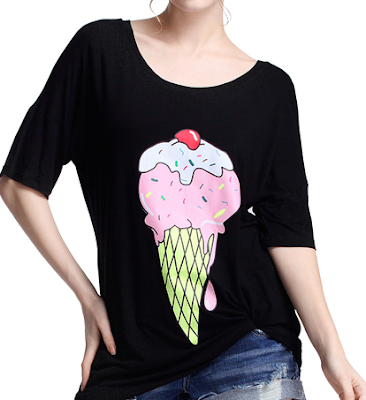 I just love looking at this T-shirt with a big ice cream print. Summer is here and it has been so hot and dry. Wearing this cool shirt from Romwe, will surely cool off my summer! As you all know that Romwe has everything you need when it comes to the latest street fashion for an online store and for the prices they offer you will surely get any fashionable style at a very good price. Go cheek out the latest street fashion online store called Romwe and you will be glad you did.